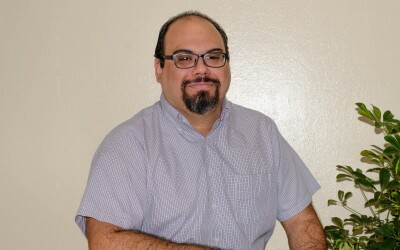 Dr. Acevedo’s focuses on identifying and understanding the molecular and particle interactions, and the thermodynamics of soft materials in order to control and design the system’s morphology and tailor its physical properties, thus allowing for the opportunity to develop novel soft materials and applications. Examples include identifying the effect of insoluble drug particles in the physical gelation mechanism of biopolymers, development of magnetically-actuated liquid crystalline elastomers, and hierarchical microstructures in colloid-in-liquid crystal gels. His research group’s work has been published in the Journal of Applied Physics, Macromolecules, Soft Matter, Journal of Pharmaceutical Innovation, Carbohydrate Polymers, and Applied Materials and Interfaces, amongst others. His research has been supported by NSF-PR EPSCoR, PR INDUNIV, and the National Science Foundation. Laboratory facility located at IQ-101LM housing the following major research equipment: Haake CaBER capillary breakup extensional rheometer with a Haake D10 temperature bath; a TReK 610E high voltage power supply/amplifier/controller and BK 4012A 5MHz function generator, Carver benchtop manual press with heated platens, and an Anton Paar DMA4100 densitometer. Additionally, a Reologica StressTech HR stress-controlled rheometer equipped with an External Temperature Controller (ETC), convection oven, and electrorheological (ER) cell. The laboratory is also equipped with a Branson 450W and a Branson 250W ultrasonifier with multiple horn tips and enclosure, multiple Cannon-Ubbelhode capillary viscometers with refrigerated and heating circulating water bath, and Brookfield viscometers. Generic lab equipment, such as analytical balances, rotating shakers, centrifuge, hotplates, pH meters, one chemical hood, general chemistry equipment and four PC computers is available. This laboratory is outfitted with: an Anton Paar MCR302 stress-controlled rheometer, available options include convection oven (up to 450 °C) or Peltier heating systems (up to 200 °C), dynamic mechanical analysis fixture, and Xpansion Instruments SER2 extensional fixture; TA Instruments Q-2000 Differential Scanning Calorimeter (DSC); Waters Gel Permeation Chromatograph (GPC) with Brookhaven Instruments refractive index and light scattering detectors (BI-Mw); Olympus BX-51 optical microscope with reflected and transmitted polarized light attachments and digital image capture; Instec HCS302 hot and cold microscope stage with temperature controller; Westover Scientific Micromaster II optical microscope with cross-polarizers and digital camera; Amscope FM320 EPI-Fluorescence trinocular microscope with CCD fluorescence camera; Mettler Toledo Thermo-Gravimetric Analyzer/Differential Scanning Calorimeter (TGA/DSC) 1 Star System (managed by M. Torres-Lugo); and an Instron ElectroPuls E3000, optional attachment include an environmental chamber for fatigue testing in air to temperatures up to 350°C, a liquid nitrogen cooling unit for tests to temperature down to -100°C, and a bio-bath designed for testing of hydrogels, biological tissues, natural and synthetic polymer films, and metals in a temperature range from ambient to 40°C (managed by Barbara Calcagno).